The opening pages of the Book of Mormon confront us with the most problematic story in the entire book—the murder of a defenseless Laban by a sword-wielding Nephi. (1 Nephi 4) We all know the story. Nephi has been commanded by God (through his prophet-father Lehi) to obtain Laban’s brass plate version of the Hebrew Scriptures. Nephi and his brothers return to Jerusalem and try everything they can think of to get the plates—with the result that Laban robs them of all their worldly possessions and tries to kill them. Not cross-referenced is the fact this same rationale was given by Caiaphas as the basis to kill Jesus Christ: “[I]t is expedient for us, that one man should die for the people, and that the whole nation perish not.” (John 11:50) This should be our first indication that something is wrong; that perhaps justifications are not in order but rather a closer examination of the story; that possibly we find the story of Laban’s murder troublesome because it is supposed to be troublesome. Certainly Nephi is troubled. Why should we not be? Does the story teach that we should do whatever the Lord commands, even if it goes against everything we have been taught and everything we believe in? Is Laban an Isaac for whom no ram in the thicket was caught? Is Laban a wicked Messiah whose blood must be shed for the salvation of the Nephites? Or is something else at play? We are taken aback when a brass ball magically appears overnight in front of Lehi’s tent after the departure from Jerusalem. (1 Nephi 16:10) If God could gift Lehi and Company with a brass ball, why could he not have done the same with the brass plates? Was the murder of Laban necessary? Was it a loyalty test for Nephi? Did Nephi pass the test? Or did he fail? Nephi rationalizes his murder of Laban because Laban had tried to kill Nephi and had robbed Nephi of his property. But this is exactly what Nephi now does. Nephi murders Laban and robs him of his property. 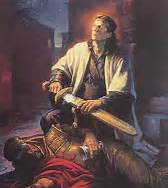 Not only does Nephi steal Laban’s brass plates, but also his sword and servant. Is Nephi interested in more than the brass plates? Is cupidity for Laban’s sword suggested by Nephi’s rapturous description of its having a gold hilt, fine workmanship and blade of “most precious steel”? But surely Nephi did the right thing in killing Laban. Did he not obtain the brass plates? Were not the plates necessary? Did not Nephi correctly conclude that his “seed” had to keep the commandments contained on the brass plates in order to “prosper in the land of promise”? But here’s the rub—Nephi’s seed is ultimately destroyed. And more than that, God curses Nephi with the knowledge of it. In response to Nephi’s prayer to know the meaning of the dream of his father, the Lord opens up to Nephi a panoramic vision of the future of the world on both hemispheres. Nephi sees many things in chapters 11-14. He sees the baptism, ministry and crucifixion of Jesus and the call of the twelve apostles (chapter 11); the righteousness and iniquity of his people, the appearance of Jesus to the Nephites, and the utter destruction of his own descendants at the hands of the Lamanites (chapter 12); the church of the devil set up among the Gentiles, the discovery of America, the loss of many plain and precious parts of the Bible, the restoration of the gospel, the coming forth of the Book of Mormon, and the building up of Zion (chapter 13); the polarization of people into either the church of God or the church of the devil, the persecution of the saints by the great and abominable church, the destruction of the wicked in the last days and the triumph of the righteous (chapter 14). The vision ends on an upbeat and glorious note. But what is Nephi’s immediate reaction to this overwhelming vision? What is the one thing that arrests his attention? It is the destruction of his descendants that he sees midway through the vision. His children, all in view destroy’d at once. Nephi considers his afflictions “great above all, because of the destruction of my people, for I had beheld their fall.” (1 Nephi 15:5) And well he might. What could be a greater and more miserable burden for Nephi to bear? And why does God choose to curse Nephi with this knowledge? The text thrusts Nephi into the full irony of the situation, for upon returning to the tent after his vision, Nephi sees Laman and Lemuel arguing over the meaning of their father’s words. It is these two brothers who have been unrighteous, who have murmured against the will of God from the beginning, who have fought against the divine directive at every turn. These are the two brothers who cannot understand the meaning of Lehi’s words because “they were hard in their hearts, therefore they did not look unto the Lord as they ought.” (1 Nephi 15:3) And yet it is their descendants who will survive, not Nephi’s. 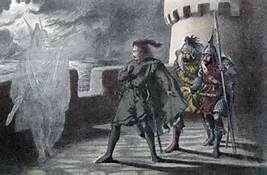 This is similar to the disquieting moment when Macbeth learns that though he will be king, it is Banquo who will beget kings. What justice is there in this? Everything is turned on its head. Why should Nephi’s descendants be the ones who are destroyed? Nephi is the one who has been faithful. Nephi is the one who speaks with God. Nephi is the one who has done everything that Lord has asked. Nephi is the one who even murdered a man in cold blood because God insisted he do so. Is there a connection? Nephi murders a man in cold blood and robs him of his possessions, effectively becoming the wicked Laban in word, dress and deed. And it is Nephi who receives from God the greatest curse a person could have; that of witnessing the utter destruction of his posterity and knowing it must come to pass. But is it also a lesson in consequences? In retribution? In balancing the scales? Does Nephi receive so great a curse because he commits so great a sin? These questions are ultimately unanswerable, but begin to raise the lid on the story of the slaying of Laban as a dark fable of the human soul. A Spirit of Health or Goblin Damn’d? The natural objection to this line of thought would be that it is the Spirit of God that coerces Nephi to murder Laban, and how can it be wicked to do what is divinely commanded? Why should there be any retribution for doing what is right? What scales need balancing? 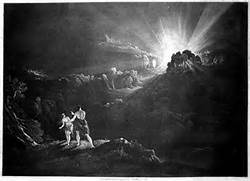 This leads us to the more fundamental question of just who, if anyone, spoke to Nephi that bleak Jerusalem night. We know Nephi claims he was repeatedly commanded by the Spirit to do the deed, a command Nephi virtuously resisted. But we also know Nephi’s account is replete with rationalizations for the murder. Might the narrative of the divine command be merely one more attempted justification? Put another way, the only account we have is from Nephi. We don’t get to hear Laban’s version. Dead men tell no tales. If Nephi were on trial for Laban’s murder, how might an impartial jury view his story, especially considering he is an admitted murderer and thief? Would it be reasonable to conclude that Nephi actually heard a voice commanding him to kill? And assuming he really did hear a voice, how is it Nephi can so positively identify it as coming from God? Here it might be noted the voice is identified throughout the narrative only as “the Spirit,” never as “the Spirit of God.” Just who is this “Spirit” anyway? 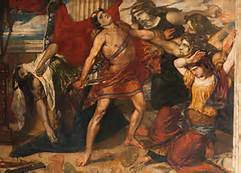 Is the story of Laban’s murder a parable about spiritual discernment, and how even the righteous may be deceived? But what if Nephi was correct in attributing his guiding “spirit” to God? Is it possible that God would direct Nephi to murder Laban and then harshly punish him for doing as commanded? 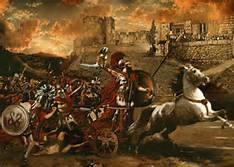 One is reminded of the “lying spirit” the Lord sent his prophets to entice Ahab to go to battle so that he might be slain (2 Chronicles 18), or the “false Dream” Zeus sent Agamemnon urging him to a premature attack on Troy with lying promises of victory. 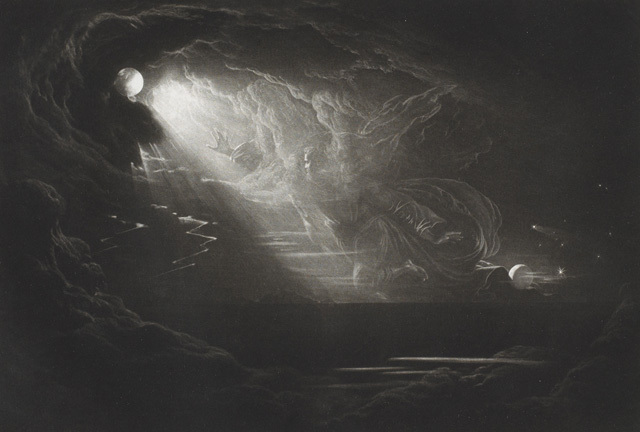 (The Illiad, II, lines 1-20) Is the spirit that spoke to Nephi a “lying spirit” sent from God? The last possibility to be considered is the most troubling—and the most profound—that Nephi was led by a true spirit of God in murdering Laban; and that it is for obeying the voice of God’s Spirit that Nephi’s life is so onerously blighted by a vision of his posterity’s destruction. Here we enter upon the ancient soil of Greek tragedy. In The Oresteia trilogy of plays by Aeschylus, Orestes is the son of Agamemnon, who must avenge his father’s murder at the hands of his mother, Clytemnestra. As Rex Warner says in his introduction The Oresteia, “We are again involved in incompatibilities, logical and emotional. It is right to kill one’s father’s murderer; it is wrong to kill one’s mother. Orestes has been instructed by Apollo, ‘the interpreter of Zeus,’ to do something that is both right and wrong.” But upon slaying his mother at the end of the second play, Orestes is pursued by other divine beings (the Furies) who are his mother’s avengers, themselves seeking retribution. Is the question at the heart of The Oresteia the same as at the heart of the Book of Mormon, “Can one who is loyal to God in the extreme also receive the cursing of God in the extreme?” Is this the ultimate example of bad things happening to good people? Is it an instance of how Tennyson has Guinevere portray Arthur, “He is all fault who hath no fault at all”? Is it an example of Stephen King’s observation, “God is cruel. Sometimes he makes you live”? Is it a morality tale of the perils of unquestioning obedience, even when such obedience contravenes one’s core principle? Is this a lesson other Mormons had to learn on a late summer’s day in 1857 at a place called Mountain Meadows? Does the tale of the slaying of Laban plumb the depths of the human experience, where evil is often returned for good, and cursing for faithfulness? Should the first book in the Nephite record be subtitled, “The Tragedy of Nephi”? 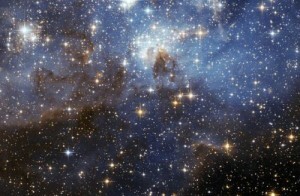 Does it serve as a second witness with Job to the inscrutability of fate, and the universality of the mystery of God? And lastly, does it stand as a testament to the proposition that, whereas we may not understand the dealings of God in what we frequently find to be a hard, cold cosmos, at least we are not alone in our plight? If the Book of Mormon stands for any of these propositions, it is a book well worth the reading, well worth the pondering, and perhaps well worth the fearing. [i] David Whitmer, An Address to All Believers in Christ by a Witness to the Divine Authenticity of the Book of Mormon (David Whitmer: Richmond, Virginia, 1887), 30–31. [ii] E.D.A. Morshead, translator, The Oresteia (The Easton Press: Norwalk, Conn, 1979), xv-xvi. fascinating; very good, thank you. Thanks for the kind words, LDSDPER! My muse was working overtime on this one. John Welch is a brilliant person and exceptional scholar. Thank you for the link to his article. His paper is a solid attempt to justify Nephi’s slaying of Laban from an ancient legal perspective. This does not negate John Welch’s fine work, but simply offers an alternative way of viewing the story which may elucidate other parts of the text as well as our own human experience. For me, the justifications Nephi gave for killing Laban have a “lady doth protest too much” feel to them. I find your article fascinating and I plan on giving the whole affair a deeper read-through. Too bad we don’t have the source text to determine if the “Spirit” Nephi mentions is the same as when “Spirit of God” is used in other places of the Book of Mormon. Thanks for the kind words, Andrew (and for extra Hamlet reference). I think your interpretation of Nephi’s anguish over his vision of the future is wrong, Corbin, as is your assertion that all of Nephi’s posterity would be destroyed. I think that the intermarriage that would have occurred between Nephites and Lamanites in the time of peace after Christ’s crucifixion (and beforehand) undoubtedly assured that Nephi’s lineage would continue. And that’s not even taking into account Hagoth’s expedition party, and those few Nephites who are referenced by Moroni in Moroni 1 who clearly survived the final battle. It is far more likely that a vast majority of his descendants were, at different times, killed by the Lamanites, but some survived. A more apt parallel to Nephi’s anguish– which didn’t come until *after* he saw his brothers fighting (1 Nephi 15:2-6)– would be Enoch’s reaction to seeing the destruction of the flood (Moses 7:41-44). As far as we know, Enoch committed no murder or sin for which he was cursed, but his anguish at seeing the wickedness and death of so many people was as real as Nephi’s. The knowledge given to both Enoch and Nephi was not a curse. In no way does the story hint at the possibility of someone being cursed for unerringly obeying the voice of God– in fact, Nephi was blessed despite killing Laban. That much is made very clear. Thank you for taking the time and effort to comment, Matthew. You are correct, though, that there may be a disconnect between what Nephi reports having seen in the vision and what the Book of Mormon later recounts as actually having happened. Your observation concerning Enoch is apposite, though. Finally, you assert that “Nephi was blessed despite killing Laban.” But really, if we are to accept the traditional reading of this story, should we not go all the way and say that “Nephi was blessed BECAUSE OF killing Laban”? This is the wrinkle in the text my paper seeks to explore. I accept the traditional interpretation of the story. The reasoning proposed by the Spirit was sound. Nephi was blessed for following the voice of the Spirit of and of the Lord; in part, Nephi was blessed because he killed Laban. Nephi knew what the Spirit of the Lord felt like, as he had had previous interactions with the Spirit. When he said he was “constrained by the Spirit”, he knew which spirit it was and doesn’t lead us astray. He had the benefit of years of hindsight to reflect on what would happen to us; moreover he was an honest prophet and patriarch. He wouldn’t lie and cover up cold-blooded murder. We find no reason to doubt that God will reward faithfulness to His direct commandments with evil and a curse in Nephi’s story. The God of Joseph Smith, and of Nephi, would not change or lie, or be so petty as to demand one thing one moment and punish the obedient the next. Have you read the Garden of Eden story recently . . . ? God has a history of forcing a Hobson’s choice on people. Well Corbin, I’d call this sophistry at its finest. To turn this story on its head (to save God from commanding the death of a temporarily helpless, although guilty man) would require you for consistency sake to turn much of the Old Testament (where even the death of many helpless innocents is commanded, and sometimes even carried out, by God) on its head, as well as several other scriptural accounts of God-sanctioned executions of captive, and thus temporarily helpless, evil men. You’re forgetting important aspects of the story itself as well as of the wider Gospel. If Nephi had somehow taken the plates (which he did not “steal” by the way, because he had more than paid for them with his family’s wealth) by any means short of Laban’s death and the capture of Zoram, his family would have certainly been hunted in the wilderness until they were found and exterminated. You also say we only have Nephi’s account, but we also have his Father sanctioning his actions, and Laban’s own servant becoming one of Nephi’s most loyal friends. When he found out Nephi wasn’t about to kill him, and rather, desired to free him if he could be trusted. Zoram was ecstatic. Nephi had delivered him from a tyrant, and he thanked him with his undying loyalty. Could God have found another way to get the plates to Nephi’s family? Possibly, but not a better one. There are more likely other reasons Laban was scheduled to die that day. The mischief he was already committing against Jerusalem and against himself was great. It would likely have only gotten worse. Better for him to die helpless and drunk than in a murderous rage or when more tightly bound by Satan’s chains. The people who God sent home from school during the flood were later visited in their spirit prison and reintroduced there (where they could no longer kill, abuse, torture, etc.) to the truths of the gospel (1 Peter 3: 19-20). 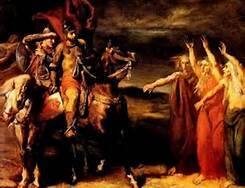 Certainly they were as bad or worse off than Laban when God himself dismissed them from the school of mortality. Laban’s death at this time was indeed merciful to the hundreds of thousands of Nephite posterity who lived and died righteously rather than in the terrors of evil and ignorance faced by hundreds of thousands of Lamanites (you focus only on the end of the story some thousand years later, not the many who were saved from ignorance, hatred and darkness in the intervening years by having access to the brass plates). What you also apparently fail to see was that Laban’s death was also merciful to Laban who would have certainly made his damnation sure if he had been permitted to live out all his days suffering ever declining spiritual, psychological, emotional, and possibly physical health. Death is not the worst thing that can happen to a person, but it can ONLY be authorize by God, the giver of life. When authorized by him it is simply a call home from school for those who have either learned all they came to learn, who have ceased learning the lessons this earth life has to offer, or who are rapidly losing what light and knowledge they had once received. The final demise of the Nephites and the descent of the remnant Lamanites into greater darkness than the children of Lehi had ever experienced before were both much more horrific and less merciful than the death of Laban. If you imagine that these are Nephi’s punishments, you imagine a wholly unjust God. They were punished not for Nephi’s sins, but for their own sins which exceeded even Laban’s. The Lamanites who were physically spared, were spared because of their personal ignorance, but that didn’t mean they were free of suffering from that ignorance. Most of the Nephites (and Lamanites) who were destroyed were destroyed because they sinned against what light they had. God is always perfectly just and merciful. As King Noah was slain by the same means he used to slay Abinadi, a just punishment for Nephi, if your sophistry were not sophistry, would have been simply to have himself been beheaded. He was not, but was blessed with peace and prosperity (in SPITE of knowing that a thousand years hence his people would turn from the teachings of the brass plates to their own destruction). His depression over seeing the destruction of his people, and over the rebellion of the brothers he loved was ultimately replaced by joy. See, for example, the latter part of “Nephi’s psalm” (2 Nephi 4: 20-35). Change the interpretation of this one incident and you’ll have to turn a majority of holy writ on its head (what spirit is inspiring you?) making God unjust, calling into question the sanity and divine authority of many of the patriarchs and prophets (Abraham, Moses, Samuel, etc. ), and possibly even some of the apostles (e.g. insofar as they might be linked to the death of Ananias and Sapphira). By the way, when I say you are using sophistry, and ask what spirit you are listening too, I’m not trying to be acrimonious. I’m simply applying your own methods to your words. These are the accusations you’ve made, or strongly implied, against one of the Lord’s anointed. 1. I don’t mind a bit if you call my reasoning (somewhat repeatedly) “sophistry.” If that is what you think it is, please call a spade a spade. I take no offense at this. 2. I do not believe God needs to be “saved.” I do believe the stories told about God need to be confronted starkly and scrutinized from all perspectives, including that whatever God does is not necessarily good simply because God does it. Further, these stories are not told by God about God–they are told by people about God–and sometimes people have been known to attribute actions and communications to God in order to square God with their own beliefs and cultural expectations. 3. Is it possible Zoram was “ecstatic” because Nephi didn’t chop off his head as Nephi had done Zoram’s erstwhile master? 4. God could not have found a “better” way to get Nephi the plates than having Nephi murder Laban while drunk in the gutter? Maybe God needs to think a bit harder. Cultures that believe violent retribution to be a good thing ascribe those attributes in their perfection to God. Is this any different? Or do we feel we are right simply because they are our beliefs arising out of our own particular culture? I will try to write more later, but have to run now. Thanks everybody for the spirited discussion! P.S. Since you seem fond of making literary comparisons, particularly to Shakespeare, why don’t you complete the comparison? For listening to his Spirit, Nephi died old, wealthy, happy, and peacefully surrounded by numerous posterity and friends. 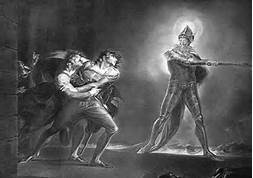 Macbeth, for listening to his spirits, faced a rapid spiritual, emotional, and psychological decline, followed by a violent and untimely death. How do you know Nephi was wealthy when he died? Is that in the sealed portion? How do you know Nephi was happy when he died? Did he forget the crushing knowledge gifted him by God in the vision–the knowledge that his people would be destroyed? Did Nephi’s afflictions caused by this knowledge, which Nephi considered to be “great above all,” somehow become less by the time he died? How do you know Nephi died “peacefully surrounded by numerous posterity and friends”? None of this is in the text. As much as you chide me for “sophistry” and imply I am reading things into the text that are not there, you seem to be surpassing me in this regard. Doesn’t sound too “happy” to me . . .
haha, you should not have mentioned Shakespeare, Mike. If you try to trip him up in that particular area, he will bury you. You wrote, “…same rationale was given by Caiaphas as the basis to kill Jesus Christ: “[I]t is expedient for us, that one man should die for the people, and that the whole nation perish not.” (John 11:50). This should be our first indication that something is wrong” Christ did have to die to save us all and apparently Laban had to die also. John 3:16 tells us these decisions were made because God so loved the world. John 3:16 tells us the decision to kill Laban was because God so loved the world? Sounds like God loved Laban to death. The same principles taught in John 3:16 are taught in 1 Nephi 4:13. God bring to pass the death of the righteous and the wicked to bring about his purposes which are motivated by His love for us. Of course, this takes faith to believe and trust. Here I must respectfully disagree, Mike. While you are right that it takes faith to believe God “brings to pass” the death of the righteous as well as the wicked in order to accomplish his purposes, it is not a faith consistent with the idea of agency. Either people really have the freedom to choose their acts, or God is the one pulling the strings from behind the scenes. Believing that God “brings to pass” the death of innocents requires more faith than I can muster, and makes God ultimately responsible for the evil that men do. And even if I could muster the necessary faith, I am not sure that such a God would be worthy of it. You and I agree that our agency is always respected by the Lord. Pilate could have stopped the crucifixion. Caiaphas could have not begun it. Jesus could have escaped. Nephi could have not killed Laban. The mob could have not murdered Joseph Smith or Joseph Smith could have escaped instead of turning himself in as “a lamb to the slaughter” and yet all have worked in a way to advance God’s greater good for His children. John 3:16 confirms that God’s love is the motivating factor. Nephi would not have killed Laban except for the great love and trust he had in the Lord. He knew the Lord. He knew the Spirit. He knew the difference between good and evil influences. He did what he was commanded to do as he had consistently done his whole life. He had questions and they were answered and with faith he went forward. Great lesson for us all! Did you stop to pray before writing this? Did you look for confirmation of your understanding before posting this article? I am just curios. We are taught to ponder and pray. And I would not personally be throwing out content challenging the Gospel of Jesus Christ that clearly indicates this was an action performed under Gods direction without having prayed and possibly even fasted to know if what I had gained and understanding of was true. I find it unlikely that you would receive confirmation that your understanding is accurate. I don’t personally agree with what you have written simply because the rest of the the Nephi chapters as well as the rest of the BOM clearly demonstrate why this event occurred and the importance of it. To think that someone that had been so faithful and was so righteous that God spoke to him and gave him unbelievable power to do great things would suddenly be unable to distinguish between the devil and God’s own voice is simply impossible to me. I also think that anytime you start using comparisons to text in Hamlet and Lord of the Rings when analyzing the Book of Mormon, it should be a clear indicator that you are headed down the wrong path. I don’t mean to minimize your efforts or being willing to discuss difficult topics on the web. I just hope that you are doing so prayerfully. Hi, Ryan. Thank you for reading the article and for posting your comments. Is that a requirement, do you think? I can unqualifiedly assure you that the voice of the Spirit directed me in what to write. Whether my gift of discernment as to the identify of the Spirit is any better than Nephi’s, you will have to decide for yourself. 8 And now, my beloved brethren, I perceive that ye ponder still in your hearts; and it grieveth me that I must speak concerning this thing. For if ye would hearken unto the Spirit which teacheth a man to pray, ye would know that ye must pray; for the devil spirit teacheth not a man to pray, but teacheth him that he must not pray. 9 But behold, I say unto you that ye must a pray always, and not faint; that ye must not perform any thing unto the Lord save in the first place ye shall pray unto the Father in the name of Christ, that he will consecrate thy performance unto thee, that thy performance may be for the welfare of thy soul. I am hoping that you are presenting this article to build the faith of your brothers and sisters. This is building the kingdom of God, but says that you shouldn’t do anything unto him unless you pray first. Your answer makes me fearful. If you feel that you don’t need to pray before sharing your interpretations of the scriptures then I’m afraid you weren’t interpreting this with the Spirit of God. And if you think that a great and faithful man such as Nephi couldn’t discern the spirit of God from another I am forced to ask myself. What makes you qualified to discern this spirit? I believe you are a man trying to find the truth, but Satan waits in all corners to feed us lies, and if you’re not praying then you are not protected from him. As in all my posts I invite you to pray humbly and possibly even fast. Remember that Joseph didn’t receive the gospel from his own discernment, he received if after praying to the almighty and then the revelation came. All I am doing is asking questions. Why is that so threatening to you? I like your idea of the “Spirit” reflecting Nephi’s Zeitgeist, J Madson, and would be very interested in reading your paper. How could I go about getting a copy of your speech, and in what venue will your upcoming paper be published? There’s been court case related to a pretty horrific killing of a soldier (http://en.wikipedia.org/wiki/Death_of_Lee_Rigby) outside a barracks in London earlier in the year. The reasons the defendent gave for his action this week to some extent parallel the reasons Nephi gave for his, which quite chilled me whilst listening to the new broadcast: the belief that he was doing the will of his God, and the hope that the death of the one soldier would mean the saving of those who might otherwise have been killed in British action overseas (Afghanistan etc). We get ourselves onto pretty thin ice when we start talking about God directing us to off somebody, don’t we? And frankly, why doesn’t God just do the dirty work himself? Why does he have to pull other people into his schemes? Aren’t soldiers always subject to being targeted by the enemy? in this case targeted by what appears to be “an unlawful combatant”? I don’t see the valid comparison of this example to Nephi and Laban. So if God tells me to kill somebody, I should proceed in spite of my doubts? Is this your takeaway from Elder Uchtdorf’s talk? Well of course the cases are not wholly analogous. This guy was expecting to be shot dead not run off into the desert for a start. But my point was simply the reasons he gave, and way he phrased them, as reported, sounded horrifyingly like the same reasons Nephi gave; doing God’s will, better than one man should die… etc. Nephi at least is recorded as having questionned the command more than once before complying. And I’m with Corbin that in all our actions we should consider “do no harm”, no matter who is instructing us, as we are all ultimately responsible for our own actions. I don’t think that aspect is given enough emphasis when we cover the story in church. It’s so often glossed over, as God told him to do it, and that’s fine. As though Laban’s life was nothing important. I still find Nephi’s story highly disturbing though. Did a guy passed out drunk really need his head removing for Nephi to be able to get the plates? There was no other means to do it? Because the take away is, we frequently use the “God gives no commands save he prepare a way” as encouragement in all manner of circumstances – and the way here seems to have been for Nephi to kill a man in cold blood. Because that looks to me like a short cut. I don’t think that’s the way we want to be advocating generally speaking. I’m not Nephi. But I know that God so loved the world that he gave his only begotten son that we may have eternal life. God willed his innocent son to suffer bleed and die because the outcome would be so great for all of us. If God can will that for his most innocent and faithful, his Only begotten, he can certainly will it for Laban. I expect we will have to agree to disagree on this, Mike. But I wanted to ask: Is there a reason that whenever you quote John 3:16, you leave out the part about “whosoever believeth in him”? Corbin! This was amazing. I have nothing but high fives for you. Not to mention, you prove yourself to be a kindred spirit when quoting hamlet, milton, and LOTR all in the same post so eloquently. I am right there with you in your assessments of Nephi and Laban. When my 4 year old daughter came home from church with a flip book of this story that she had colored in during primary, she asked me to explain it to her. It seemed an easy enough of a task to try to repeat what I had been taught when I was little… but since reaching adulthood I have always hated this story. I honestly can barely get past it to move on with the rest of the BOM because the story of Nephi rubs me just SO wrong. I tried to keep my faulty spirituality to myself and explain the story to my daughter in the same way her primary teacher would be instructed to do, but it felt, well–icky (sorry to use such a lame word but it’s the only one that fits!). The second I said them, I realized my words were hollow. That was actually the first time that I realized my shelf was collapsing and I had to look into things before I could ever teach mormonism to my daughter and feel good about it. Also, I saw your profile submission for OW last week in my FB feed and LOOVED what you shared there! I had no idea you are also a writer over here, luckily you use the same picture so I could make the connection. Thank you so much for your brave, well-researched contributions. It feels so good to not be alone. These are conversations VERY worth having. Thank you so very much for your kind and supportive words, Lori. I continue to believe the Book of Mormon has much to teach us if we treat it with the respect we would accord other major literary works. But if we approach it as a Primary lesson book, we tend to get only Primary lessons in return. Primary lessons are well and good for children in Primary, but when Paul became a man, he “put away childish things.” Putting away childish conceptions and readings is not something to be regretted, but to be embraced. It is part of growing up. What should be regretted is clinging to “childish things” past the age of childhood. As ludicrous as this may sound, I got no intimation that the author was speaking anything other than in dead earnest. P.S. 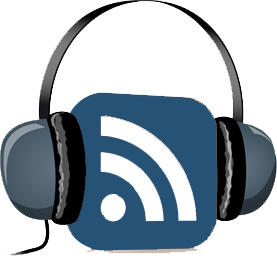 Thanks for the plug to my profile on ordainwomen.org. I consider this an extremely dangerous lesson to take away from the story. Any love that motivates us to injure or destroy another is not love. Corbin wrote, “Any love that motivates us to injure or destroy another is not love.” That’s not true at all. How grateful I am for George Washington and many others for their willingness to kill and injure or be killed or be injured for their love of liberty, country, family, peace, righteousness, etc. Alma 46: 9-21 demonstrates the love that Chief Commander Moroni and his people had for their liberty, for their families, their God, their peace, etc. I enjoyed the article very much, Corbin. Some of the most profound insights into the nature of God come through accounts of very fallible prophets — Abraham, Moses, Jonah, Job, Peter. The Bible is full of the misdeeds and misunderstandings of holy men We see them sin, we hear them struggle to understand God, we watch them falter in their faith. These profound insights into their humanity provide, in my opinion, a powerful lens for seeing our own shortcomings (and the continually outstretched arms of God in spite of them). Why shouldn’t Nephi be not only conflicted, but human, fallible? I’ve often wondered if his self-deprecating psalm was evidence of a pained conscience. How could one who clearly intellectually understood the power of the atonement struggle with feelings of such inadequacy and self-doubt? His tone is, at times, hauntingly reminiscent of David, who sent Uriah to his death. Perhaps, taking a life, with or without God’s consent, simply leaves a melancholic mark. Ultimately, we may never know an objective truth but I have found that pondering this account and considering a variety of readings. has been a worthwhile spiritual endeavor. And while I don’t know that I completely agree with your interpretation, I find this characterization of a less-than-noble Nephi consistent with the portrayals of prophets in the Bible – thus supportive of the idea of an ancient origin for the Book of Mormon. I’d like to read a similar take on Captain Moroni, who I believe may be much less heroic than Mormon’s editorializing suggests. In a book which roundly condemns wars of aggression and among a people which claims the freedom of belief, Moroni leads an attack on political dissenters as they are departing to make a home among the Lamanites. Of course, we also have on record the account of his pride in threatening the very faithful who sustain him, even while they are themselves under attack. This fellow, hailed as one who could shake the gates of hell, literally lives by the sword to the extent that he cannot tell friend from foe. Again, I think there are some profound lessons from variant readings. And what of Mormon’s hero worship? Mormon clearly thinks highly of Captain Moroni (perhaps even claiming the commander’s name for his own son). Is this out of place for prophets? To confuse piety with military might? Are there none of the minor prophets who exalt David or Solomon, even though the former clearly fell and the latter built a kingdom on the backs of slaves – ignoring the implicit mandate of the God of the oppressed who freed Solomon’s own people from Egypt? My point is simply that these stories are beautiful and inspiring in all their complexity. It’s in the messy, foul, and sometimes chaotic details that God speaks some of the most clear eternal truths. Kind of like having the King of Kings born, a baby refugee, under questionable circumstances, in a dank grotto, surrounded by the stench of animals. God works wonders among the refuse. Wonderful thoughts, Cate! And thank you for expressing them so eloquently. Funny that I had thought of including a dissection of Captain Moroni in my blog, but it was already running long with just Nephi. And I agree with you about his psalm. If it weren’t for 2 Nephi 4, we might think Nephi saw himself as perfectly as modern Mormons tend to. We don’t need perfect role-models. We need imperfect people doing good things. Since that is the best I can aspire to, perfect role-models just make me feel depressed and inadequate. And they have a nasty habit of falling off the pedestal . . . Fascinating take on the slaying of Laban. This reminded me a lot of Grant Hardy’s ideas that he puts forward in Understanding the Book Of Mormon. He makes the point that Nephi is writing his narrative and may have omitted some of the details due to self justification. Hardy has some good insights and questions – Why would they burn offerings soon afterward, a common form of penitence? Why would there be no mention of Nephi bringing home Laban’s bloody sword, just a flashback to the murmurings of his mother and praising from his father? Hardy does not take it quite as far as this piece in the effects of the deed, but still a beneficial thought experiment. Thanks for the comments, Matt. I have read Hardy’s book. It is actually one of the rare books I have read through twice. It is marked from stem to stern. Grant Hardy is a brilliant thinker, though I understand he gives credit for most of his insights to his even more brilliant wife. Another important source to consider would be Noel Reynolds’ paper dealing with 1 Nephi as a political tract, intentionally constructed by Nephi as an argument for why it is he should assume the role of king instead of his older brothers. I just found a link to it. Loved how you explored the darker side of Nephi. For me this side is more complex and meaningful. One can only wonder what version of events Laman and Lemuel would tell. Or even Lehi and Sariah. Whenever God demands one of His children do something that is hard (such as Abraham sacrificing Isaac, or Nephi killing Laban), faithfully performing the sacrifice results in blessings from the Lord. In the case of the Garden of Eden, there is no reason to suppose that the command not to take of the fruit of the tree of knowledge of good and evil, had it been heeded, would not have been rescinded later. 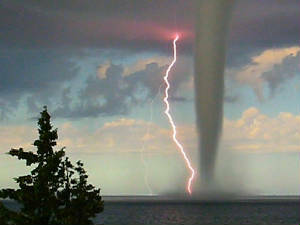 Mankind fell as a result of Adam and Eve disobeying the voice of God. There’s always a choice in the “Hobson’s choice”: sacrifice something dearly loved, or disobey the voice of God. In Nephi’s case, what he was sacrificing was his own inhibitions in carrying out the will of the Lord, and his own desires not to hurt another person. Nephi was virtuous, but he needed to learn righteousness as well. Laban’s death was just, according to the Mosaic and eternal law– the Lord’s use of Nephi as the executioner was a great test for Nephi, which Nephi passed and was rewarded for. I think that is the right way in which to interpret the death of Laban. I’m not so sure Nephi passed the test, Matthew. Luckily it’s not up to us to judge this huh?! An interesting take. I have read the Book of Mormon a very great many times in my life, having especially studied the life of Nephi. The ultimate lesson that Nephi teaches us, not only with words, but be very deeds is the path required to receive the Second Comforter. It began with a skeptical young man who had a desire to believe his father and rather than rebel as his eldest brothers did, he prayed with faith to know. And his heart softened. Fast forward to the final chapters of his writings. 2 Nephi 31 and 32 give us his most profound and important lesson. Moroni wrote in his 7th chapter that true messengers come to us to give us further instruction as they did with Adam. If have not received angels, we have proven our faith as weak and all is lost as if no redemption has been made. 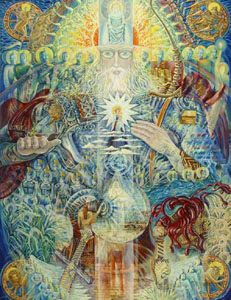 True messengers teach and they bring the sojourner to the veil to converse with the Lord as with the bro. of Jared and many others. We read in the Lectures on Faith what is required of us to be as Abraham and Isaac and Jacob. We must have a knowledge that what we are doing is acceptable before the Lord lest we faint. Nephi had a clear understanding of this. Consequently, he relates his own experiences of having been visited by true messengers and he shares with us that he had been visited by the Lord and talked with Him face to face as Moses and Isaiah and many others who trod similar paths. 2 And now I, Nephi, write more of the words of Isaiah, for my soul delighteth in his words. For I will liken his words unto my people, and I will send them forth unto all my children, for he verily saw my Redeemer, even as I have seen him. 3 And my brother, Jacob, also has seen him as I have seen him; wherefore, I will send their words forth unto my children to prove unto them that my words are true. Wherefore, by the words of three, God hath said, I will establish my word. Nevertheless, God sendeth more witnesses, and he proveth all his words. Nephi opens his books by telling us right off the bat that he had been highly favored of the Lord, which resulted from many afflictions (again alluding to what Joseph teaches us in Lectures on Fath), having seen many mysteries (which we learn throughout the Book of Mormon and D&C that the Lord wants us to seek His mysteries so that He can teach us), that he had been blessed. And he had been blessed so much so that by having been true and faithful, he parted the veil and truly did converse with Jesus Christ. By the time he concludes his second book, we read that Nephi had been sealed up to eternal life, had been made a King and a Priest (D&C 76) with the power to seal on earth. 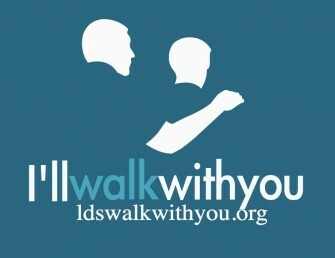 Nephi’s walk is one that each of us can take and by following his example, we can all experience the same promises. Israel had peace for eighty years. So you see, the Lord does preserve his children from unrighteous dominion even if it means slaying every last one. There is one scriptural connection often overlooked when LDS review this account of Nephi and try to determine why he would have consented to do what he did. First Nephi discovers Laban and the prompting comes, which he rejects. Then the prompting returns with specific wording this time. It is interesting that the wording of the Spirit speaking to Nephi is “The Lord hath delivered him into your hands.” It would seem Nephi is still a little hesitant, and the Spirit repeats to him that same wording. 12 ¶He that smiteth a man, so that he die, shall be surely put to death. It is interesting that the Spirit would whisper something so specific to Nephi…perhaps showing him the very reason that he was to proceed. 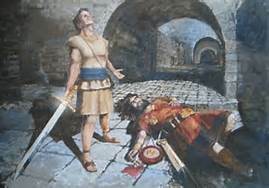 Had Nephi come beforehand with premeditated murder on his mind, “slaying with guile”, he would have been guilty of death. But instead, we have the Spirit telling him “The Lord has delivered him into your hands”, and in keeping with Ex 21:13 – the Lord appointed unto Nephi a way for him to flee (by allowing his impression and appearance of Laban to be so complete that Laban’s own servant was deceived. So, perhaps, according to the Law, Nephi truly is innocent. And the Spirit told him exactly why “He has delivered him into your hands” was perhaps to point Nephi’s mind to that verse that maybe he was familiar with, and tell him he needed to proceed. As for cursing his family line…his line was also blessed immeasurably, and generations of his line passed with a knowledge of salvation and hope in their redeemer. They established Zion. Yes, when THEY turned from God and the knowledge he had freely given them, they were cursed by their OWN doing…not Nephi’s 1000 years earlier. And to suggest that the Lamanites were more blessed for sticking around ignores the fact that they too would be wiped out to near extinction from their former glory by the disease and war and destruction the Europeans would bring upon them. This was also seen by Nephi. So of course he laments…he laments that people of so much promise eventually end up rejecting truth and being destroyed. Whether his seed or another. Would you not weep if you were to see Zion established for 200+ years, and the joy of that…only to see wickedness enter in and corrupt everything. Your seed or not…it is a shame when a people of covenant and promise fall from their potential, and by THEIR OWN DOING leave themselves to kick against the pricks. God didn’t curse Nephi’s seed because of his actions. They cursed themselves when they rejected God. I found it an interesting article. I personally enjoy studying the scriptures, searching and pondering what I find in them. I am not sure one should so easily limit the possible scenarios/motives to the ones you have put forth. You seem to be focusing (albeit intentionally) on sensational/controversial interpretations of the actions of Nephi, and more alarmingly, to a God of confusion with less than pure motives. I can not reconcile the motives espoused in your article with the God I believe in or the understanding I have of the eternal principle of justice He operates under and in fact is bound by, forfeiting His Godhood should he act contrary to this eternal principle. If Nephi had committed premeditated murder and then for less than pure motives, how does that fit with his enjoying the companionship of the Spirit of the Lord, and many further revelations and prophecy throughout the remainder of his days (or at the very least for significant periods of his life following this event)? I also do not understand how you have linked Nephi’s act of slaying Laban to the destruction of his people (not his seed, which makes it even more implausible that this is a from of punishment, as many of the “Nephites” were such by association as opposed to direct descendants of Nephi) a thousand years later. If in fact Nephi had committed a transgression or sinned against the Lord here, the general rule set out in the scriptures regarding punishment seems to be limited to “the 3rd and 4th generation” and then the Lord states it is reserved for those “that hate me”. The immediate law to which he would be accountable would seem to be the law of Moses, which would have had other implications depending on Nephi’s justification for the act. Nephi’s despair at witnessing the destruction of his people surely is a natural reaction to what he saw. Does this condemn him to a life of misery as a result? I wouldn’t think so. If he had no understanding of Gods plan and the importance of agency it may have been different, but he seems to have had a very good understanding of the “Plan of Happiness” and the need for, and role of a Saviour. To imply that because of what Nephi saw, this was a punishment and caused him unending despair and hardship, surely also implies that all those who have been blessed with similar visions and even God himself are miserable because they know that many of their people/offspring turn out to be wicked and/or destroyed. Enoch tells of his vision and encounter with God, and that the Heavens themselves, and God, wept because of the iniquity of His children and the inevitable consequences this brings. Does this encounter imply that God is then miserable because of this, and that this knowledge is Gods punishment for some sin He committed? It would seem a very long bow to draw in my opinion, and inconsistent with a great many other teachings we have. I don’t for a minute believe Prophets, apostles or any of the Lords servants to be perfect or infallible, in fact I know for sure that they aren’t. But there is a difference to being prone to err, and being wicked. I also believe God to be a Just and perfect God, rather than a being who acts on a whim, makes things up as he goes along, intentionally seeks our misery or opportunities to punish us. I believe (from personal experience and what I have read and studied) that being “cursed” often means an absence of blessings as opposed to a pronounciation of a specific negative event. Just my thoughts. Apologies if they are hard to follow as I am not learned or qualified in the eyes of men. Some interesting ideas, but I think this post ignores the scriptural evidence showing that Nephi was justified and blessed by the Lord… We should not believe theories if they clearly contradict the word of the scriptures. Here are some examples that show the blessings the Lord promises to Nephi and his descendants (there are others as well). “Rebel no more against your brother, whose views have been glorious, and who hath kept the commandments from the time that we left Jerusalem; and who hath been an instrument in the hands of God, in bringing us forth into the land of promise; for were it not for him, we must have perished with hunger in the wilderness; nevertheless, ye sought to take away his life; yea, and he hath suffered much sorrow because of you. And I exceedingly fear and tremble because of you, lest he shall suffer again; for behold, ye have accused him that he sought power and authority over you; but I know that he hath not sought for power nor authority over you, but he hath sought the glory of God, and your own eternal welfare. And ye have murmured because he hath been plain unto you. Ye say that he hath used sharpness; ye say that he hath been angry with you; but behold, his sharpness was the sharpness of the power of the word of God, which was in him; and that which ye call anger was the truth, according to that which is in God, which he could not restrain, manifesting boldly concerning your iniquities. And it must needs be that the power of God must be with him, even unto his commanding you that ye must obey. But behold, it was not he, but it was the Spirit of the Lord which was in him, which opened his mouth to utterance that he could not shut it. “And after he had made an end of speaking unto them, he spake unto Sam, saying: Blessed art thou, and thy seed; for thou shalt inherit the land like unto thy brother Nephi. And thy seed shall be numbered with his seed; and thou shalt be even like unto thy brother, and thy seed like unto his seed; and thou shalt be blessed in all thy days.” (2 Ne 4:11). “And behold, because of the thing which I have seen, I have reason to rejoice in the Lord because of Nephi and also of Sam; for I have reason to suppose that they, and also many of their seed, will be saved.” (1 Ne 8:3). And if they are not the words of Christ, judge ye—for Christ will show unto you, with power and great glory, that they are his words, at the last day; and you and I shall stand face to face before his bar; and ye shall know that I have been commanded of him to write these things, notwithstanding my weakness. And now, my beloved brethren, all those who are of the house of Israel, and all ye ends of the earth, I speak unto you as the voice of one crying from the dust: Farewell until that great day shall come. (2 Ne 33: 10-13). And Nephi is the one child for whom Lehi has no blessing . . .
Corbin – It is amazing that if you spend much time engaged in LDS discussion on the net that every so often you will observe a new interpretation begin to creep into discussions. It spreads and over time you notice that more and more people are recycling in their own words clearly something that has a common source – But where to find it? For the most part I have concluded that Grant Hardy is the predominate author of this particular line of reasoning that you have expounded. However your efforts are not without influence as I have noted what appears to be reasoning much like yours in this document creeping into various analytical efforts by others, predominantly those of an intellectual preference. People do appear to be reading and approving of your take on things. I would like to suggest some alternate readings that negotiate this Laban and Nephi scenario. As much of it is dependent on understanding the application of law in that era of time, you may find it interesting. I would prefer to dialogue privately. Online seems to hamper genuine discussion and creates an arena type format. My bottom line effort is to understand why this particular explanation of events appeals to you and give an alternative consideration. In the case of Nephi and Laban there are much stronger witnesses to be brought to bear that provide keen insight I must be frank that I do find your interpretation short on taking advantage of the textual clues that Nephi presents in the narrative. I realize that you are certainly short on time for such things and my extraordinary request may seem burdensome. I have my material very organized and should only require a couple of exchanges between us at a minimum. But based on the effort you have put into this piece I suspect that scriptural endeavors may be appealing to your use of discretionary time in such endeavors and we can actually do a bit of note comparing. I can assure you an interesting dialogue should you accept my offer. I believe you have access to my email via this post. I can post here, if you prefer, but again wonder if that will favor or hamper our exchange. Oops! Replied to the wrong comment! I have pondered much about this lately, and think that Nephis mistake may have been to listen to his mind, or a voice in his head, and rejected what his heart told him to do. It seems strange to me that Nephi was to kill to preserve a lesser law, the law of Moses, that was given because the people of israel rejected the higher law. It makes one wonder wether Nephi could have rejected to kill for the lesser law, and instead could have let Laban live, and choose to li e the higher law. It also seems a little ridiculous to me that God could not have taught them the laws without murder. Personally I tend more and more to believe that Nephi acted according to lesser law, mixing a symbolic request with a real, literal request. Mayby what God really asked Nephi to do was to cut of his mind with the word of God, and listen to his heart.